Sandusky Bay Chapter’s publication finally printed and ready for sale. Linda and Bill Ballanger, authors of Collectors of Historic and Prehistoric Artifacts. Spinny, former taxidermist and all around interesting guy. If you run into him at a show ask him about the story of Popcorn Sutton. Bob Combs won an award for his display and said he found alot of it at garage sales. Chapter member Tim Edwards (left) with Jack Flowers. The grandson of Jack and Cheryl Flowers using a sifting screen. The theme for this show was "Stone Tools"
Pictures from the March 2018 State Show. Chloe (7) and Colt (9) Gauntt of Dublin, Ohio with their display. Ben Howard with his finds from Marion, Hardin, and Union Counties. Dinah Harrison (10) Blue Ribbon winner of the 13 and under group. Kenton Cochran won second place in the 13 and under group. 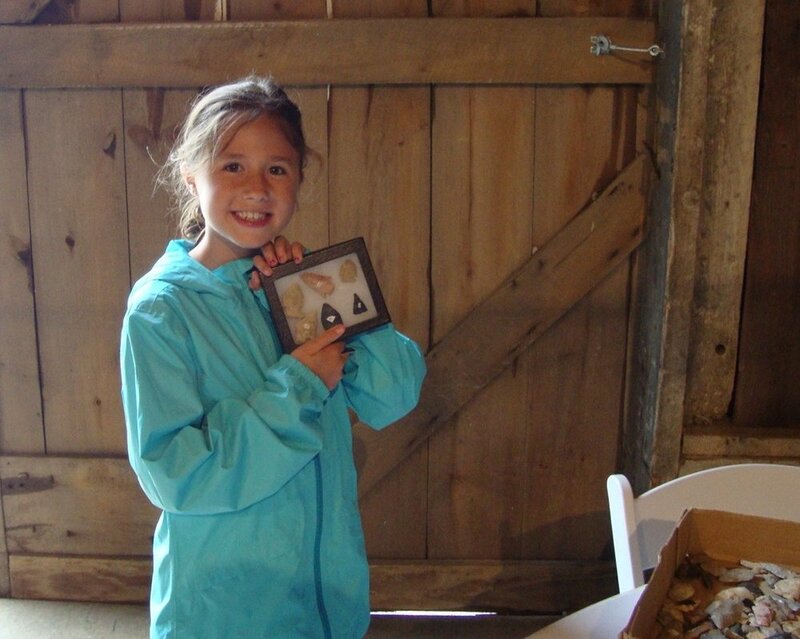 Kelli Hughes with her display of finds from Franklin County. Greg Dush with his display from Wayne County. Display of finds from Wayne County by Greg Dush. Scott Stoneking of Lithic Restaurations. Pictures from the 2018 Arrowhead Day at Lowe-Volk Park in Crestline, OH. Interior of the Lowe-Volk park conservation center. Steve Gebhardt with his display. Eric Rothhaar displaying some of his finds. Birdstone head found in Wyandot county, Ohio by Eric Rothhaar. Jeremy Snyder with a preform birdstone found in Morrow County, Ohio. 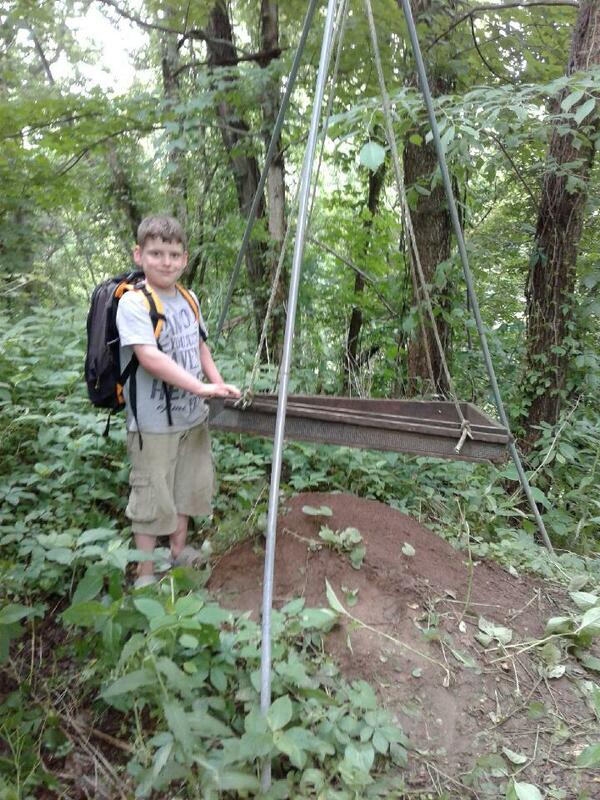 Jeremy Snyder teaches Archaeology at the Mohican Outdoor School in Belleville, Ohio. He also teaches classic flint knapping techniques. Josh Dyer, a member of Crawford County Parks District, with his collection of finds. Most artifacts were found in Crawford county. Pictures from the 2018 Hog Creek Prehistoric Indian Artifact Show held Sunday Feb. 25th 2018. From the Collection of Dean Driskill currently on display by Greg Shipley of Shipley Antiquity Services. Greg Shipley with his display of the collection of Dean Driskill. Bennett and Graham Kill with their display. Not pictured is Reid Kill. All three of these young archaeologists won prizes for their 2017 finds. Memorial display for Tom Emerick. Retired educator and author Lloyd Harnishfeger with his book "Harriett Tubman, Conversations with an American Heroine".